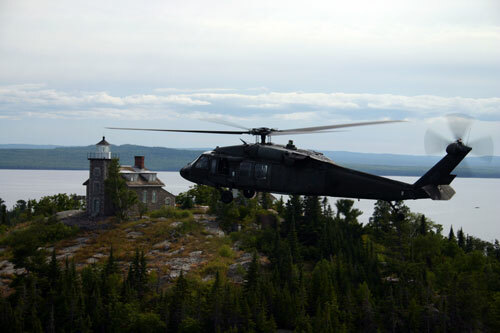 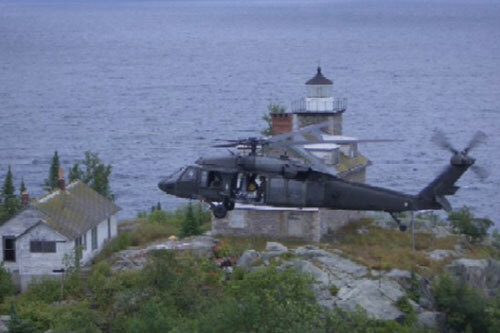 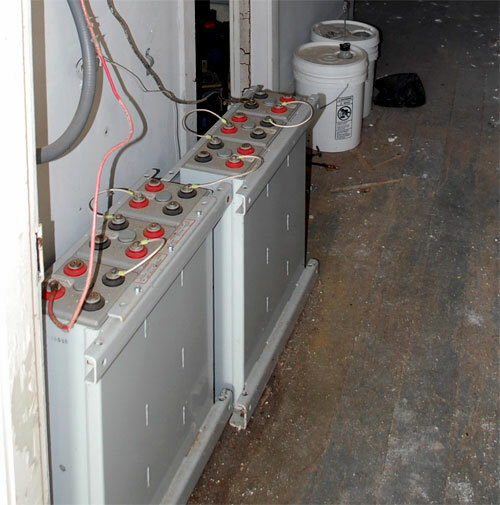 When the Coast Guard had two huge wet cell batteries to install at the Huron Island light station in 2006, the National Guard's offer to transport them to the island by Helicopter was doubtless welcome news. 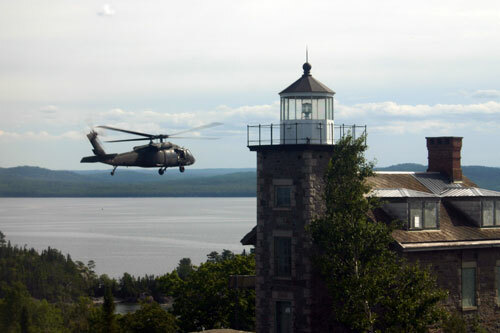 It eliminated the need to lug them up the 3/4 mile long trail from the boathouse to the lighthouse which sits atop a 150 foot cliff at the center of the island. 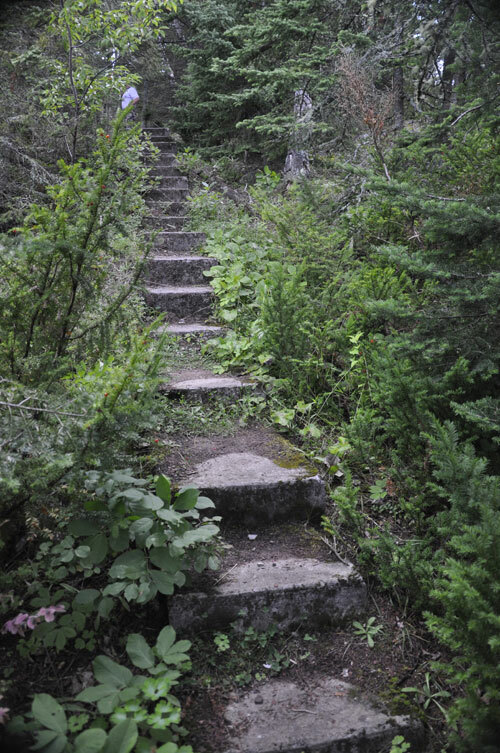 obstacles encountered along the trail from the dock to the lighthouse.